An emerging trend in corporate America that you will hearing a great deal about in coming years (if you haven’t already heard of it) is BYOD, or Bring Your Own Device. The thought is that Employers can save money by having employees use their own device and not having to purchase devices for them. Employees benefit by having their employers cover a part of the monthly fees for that device and do not need to juggle between multiple devices. Sounds like a win win proposition right? Not so fast. On the surface this sounds like a no brainer but when you take a few minutes to think it through it raises a number of questions and potential issues. 1. What if I break my device? This would raise a few questions. For starters did it break while you were working or when you jumped in your friends swimming pool and forgot it was in your pocket? Regardless of the fact, now what happens. I can no longer do my job now until I get a replacement device. Does my company pay for the replacement or do I? 2. What devices are supported? Do software development teams now need to develop software that can work on ALL Operating Systems? If so, then would this increased development and support cost offset much of the savings of purchasing devices? Can a company pick one and say that all employees must have iOS for example? Would doing so cause legal issues with hiring practices (you essentially say that all potential employees must have an iPhone to work for your company?). Building software that works on several different browsers is hard enough. Imagine the challenges of developing software that works on any operating system and then providing a help desk that can also trouble shoot the issues that come up and determine if it is a software issue, an OS issue or a specific device issue. 3. What can I do/not do on my own device now. Can my company just wipe my personal data under coverage of protecting proprietary data? There have been reports of a rise of employers that utilize BYOD wiping data from employees devices. Below is an article explaining the rise in this practice and also how companies make no differentiation between company data and personal data. What happens when the employee leaves? Do you require them to erase all of their data to ensure they do not leave with company proprietary information on their device? 4. What can you do on YOUR device? Will companies start dictating what you can and cannot do on your own device? Can an employee for example no longer manage their fantasy football team on their own device? What happens when a door to door sales rep for your company walks to a customers house and they have an offensive wallpaper on their device that is seen by the customer? 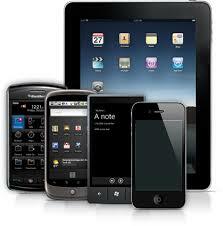 As the use of BYOD continues to grow, these issues and many others will continue to increase and need to be addressed. At its core BYOD seems like a really great way to save money for corporations. But before you rush to jump in it’s important you think through the potential issues that could arise and really do your homework to decide if it will really end up saving you as much as you think it will in the long run. Too many people start talking BYOD like it is a no brainer solution that is going to save the company endless pots of cash before looking into the technical as well as legal challenges of making the move.